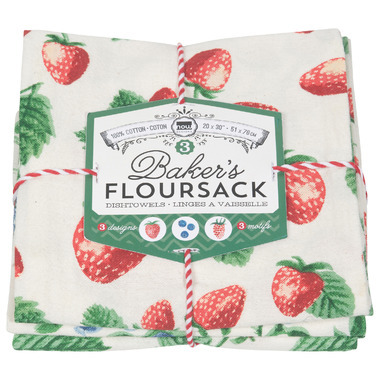 Extra soft and unique textured flour sacks evoke nostalgic memories of grandma's favourite kitchen linens. 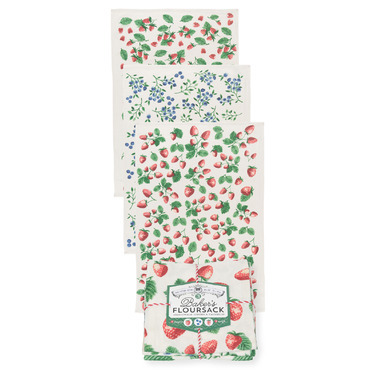 Made from superior quality cotton, this set features a variety of farm animal illustrations. 100% cotton. W20 x L30 inch.